Floyd H. Royston 8-21-1928 "? 10-31-2011 Mr. Floyd H. Royston was the son of the late Gaines E. and Maggie Littleford Royston. In addition to his parents, he was preceded in death by his first wife, Gladys Shell Royston; son Steven G. Royston in July of this year; four brothers, Arlie, Howard, Clyde, and George Royston; and two sisters Mary Lee Royston Grindstaff and Molissie Royston Collins. Mr. Royston Retired from Burlington Industries after 48 years of service. He liked to hunt, fish, and garden. He loved spending time with his precious great grandchildren, especially Emilee, Lyndsee, and Petey. 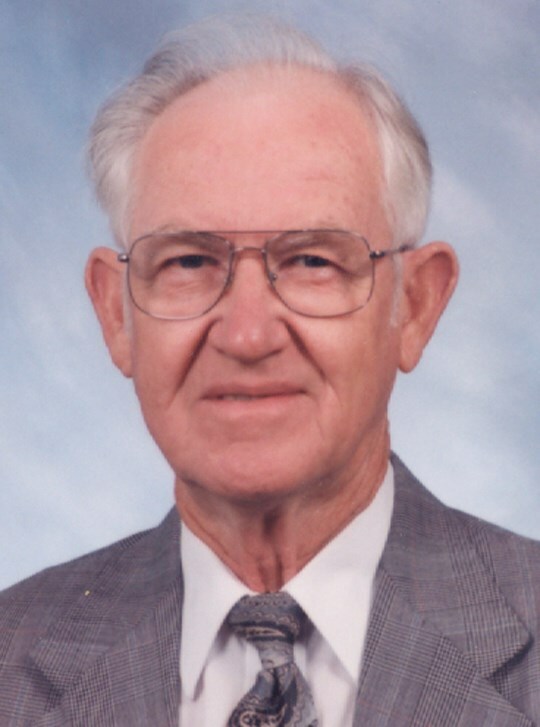 He was a long time member of over 50 years at Snow Memorial Baptist Church where he was an active Deacon, Usher, and former Sunday School Director, and RA Leader. His great desire after being saved by the precious blood of Jesus was to serve God with all of his heart. Mr. Royston was truly a Christian gentleman who loved and served God. He had a remarkable memory and a great sense of humor. He never met a stranger and loved everyone. His calm, strength, and warm smile will be greatly missed by family and friends. Survivors include his wife Grace Carmack Byerly Stratton Royston; daughters Brenda Royston Cole and husband Will, and Teresa Royston Keller; sons, Harold Royston, Allen Royston and wife Debbie, David Royston and wife Jan; Stepchildren, Joe Byerly and wife Chizuru, Sheila Byerly Armstrong and husband Bobby, and Gila Byerly Brock and husband Chris; eight grandchildren, Tammy Hyatt and husband Scott, Dr. Rick Royston and wife Stephanie, Randy Corby, Crystal Royston, Whitney Royston, Welsey Royston, Chris Keller and Dusty Keller; step grandchildren, Deseree and Robert Royston, Jeff Armstrong, Katelyn Byerly, Jocelyn Byerly, Nathan and Forrest Gentry, and David and Lonnie Cole ; great grandchildren, Emilee Hyatt, Lyndsee Hyatt, Peter Corby, Asher Royston, Dalton Royston, Deseree Royston, and Alexis Keller; step great grandchildren, Morgan Armstrong, Chloe Gentry, Veronica, David Jr., Dustin, and Cody Cole; one sister Betty Hodges; two sisters-in-law Lillian and Opal Royston; several nieces and nephews; and a very special friend who he loved as a sister, Sue Seal.The family will receive friends, Thursday, Nov. 3, from 5-8:00pm at Snow Memorial Baptist Church and other times at the home, 507 Sunnyvale Dr. or the home of Brenda and Will Cole, 145 Faith Circle. The funeral service will follow visitation at 8:00pm with Rev. Timothy Adkins, Dr. James Royston, and Rev. Rusty Wishon officiating. Burial will be held, 11:00am, Friday, Nov. 4, at Happy Valley Cemetery, Elizabethton. Pallbearers will be; Marvin Grindstaff, Gary Royston, Jerry Love, Christ Brock, Joe Byerly, and Kenneth Bourbon. Honorary Pallbearers will be; Mack Fair, Arthur Hagaman, Roger Hardin, Lloyd Kinley, Johnny Smith, Ray Wilson, George Holly, Harold Jones, George Boy, Bob Bible, Ed Lingerfelt, Gary Bond, John Augustus, Josh Ruff, Bob King, Gay Payne, Paul Whetsell, Delbert Dempsey, Albert Bentley, Stanly Denney, and Bill Garland. Brenda and family May god bless you at this time….prayers and thoughts are be sent up yo god for you and your family if theres something that i can do at this time just let me no love you…. Brenda and Tammy; Floyds passing is distressing. But, God still looks upon you with concern and care. Walk the path that Floyd dreamed for each of you. Harold , Sorry to hear about the passing of your dad.. May God Bless . To the family, I had an opportunity to meet one of your family members on Monday, Chris Keller. We were in an auto accident together. Thanks to our Lord we were not hurt but my heart hurt for Chris. His first words were Maam are you hurt. The next was about his grandfather. We just stopped and prayed together for thanks for no injuries and then for the Lord’s protection on your precious father and grandfather. After reading the story of his grandfather I understand why Chris is such a wonderful young man. My prayers are with all of you. May God give touch each of you with His Amazing Grace and comfort.